His dad’s were twin homosexuals?? I don’t get it… 1st!!! You upload a photo of your dad, mom, & yourself. 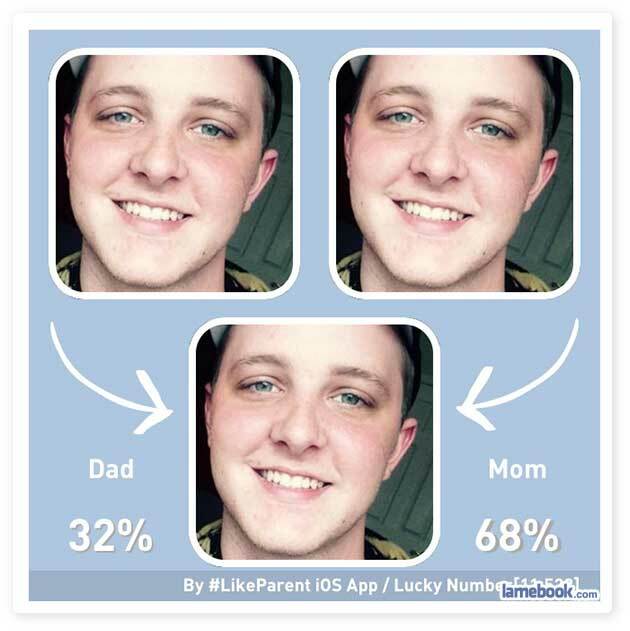 The pics are all identical so it shouldn’t say he looks more like Mom than Dad. Hmm… Yeah, I think I can see how he looks more like his mom than his dad.